Brought to life by Rafanelli Events, ARTcetera remains one of Boston’s best venues for art acquisition and one of the city’s best parties. Helmed by Co-Chairs Laura Gassner Otting and Ruta Laukien, Curatorial Chair Olivia Ives Flores and Executive Director of AIDS Action Carl Sciortino, ARTcetera 2018 promises to be impactful. Rafanelli Events and The Catered Affair have spent months envisioning and crafting an evening to delight and surprise. The finest art institutions and curators in Boston and beyond contribute work to this important cause. They include: Abigail Ogilvy Gallery; deCordova Sculpture Park + Museum; Gallery Oh! ; Krakow Witkin Gallery; Massachusetts College of Art and Design; Montserrat College of Art; The Museum of Fine Arts, Boston; Peabody Essex Museum; The Provincetown Art Association and Museum; The School of the Museum of Fine Arts at Tufts; and Uprise Art, as well as numerous other creative spaces featuring the best in contemporary art. Together with the dedicated host committee, they bring together intrepid entrepreneurs, bright new art world stars, and top philanthropists to support this vital organization. For further information visit artceteraboston.org or call 857.313.6735. 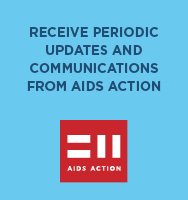 AIDS Action is New England’s largest provider of services to people living with HIV/AIDS and populations at risk of infection. AIDS Action leads the state’s Getting To Zero Coalition, which seeks to reduce the number of HIV infections to zero and operates a needle exchange that serves as an entry point to healthcare services for active substance users. In 2013, AIDS Action became a part of Fenway Health, which works to make life healthier for the people in our neighborhoods, the LGBT community, people living with HIV/AIDS and the broader population.